We are very fortunate to have parking areas to both sides of our school. To the side heading towards Dereham we have a lay-by directly next to us at School Plain. There is room for quite a number of cars, but please do remember that there are residents living here. We would ask you to be mindful of this when parking and please do not block their driveways. To the same side of the school there is another lay-by a little bit further down, which is only a very quick walk away. Again, there is room for a good number of cars here. To the other side of the school (going towards old Scarning) is another lay-by, by the village sign. A lot of the time people forget about this as it “past the school” for many of us, but for this reason it is also very often hardly used at all! Give it a try – it is just as close as the furthest lay-by the other side! We have a key code barrier system to the front of the school. Staff and Governors are the only people to have the access code. 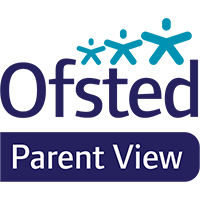 To clarify the use of the barriers: when the barriers are in use they will only be lifted for delivery vehicles, official visitors to the school, child care providers dropping off and collecting our school children. The staff car park is for staff only. Above all please use all the parking facilities around our school carefully in order to keep our children safe. Thank you for your assistance. 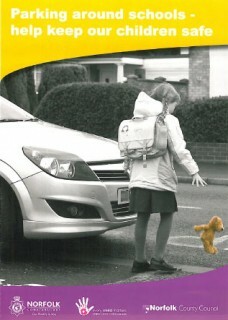 Please click here to see a leaflet from Norfolk County Council on school parking.